Restrooms are located on the main floor (through the door on the south side of the lobby), on the mezzanine level and on either side of the balcony. There is an additional ladies’ room near the upper balcony concession area. Any patrons arriving after the start of the concert will be seated at the discretion of the House Manager. Cameras, recording devices, cell phones, (smart) watches, pagers and other electronic devices are distracting for performers and audience members. Recording of any kind is strictly prohibited during the concert. Patrons are welcome to take photographs before the concert, during intermission and after the performance. 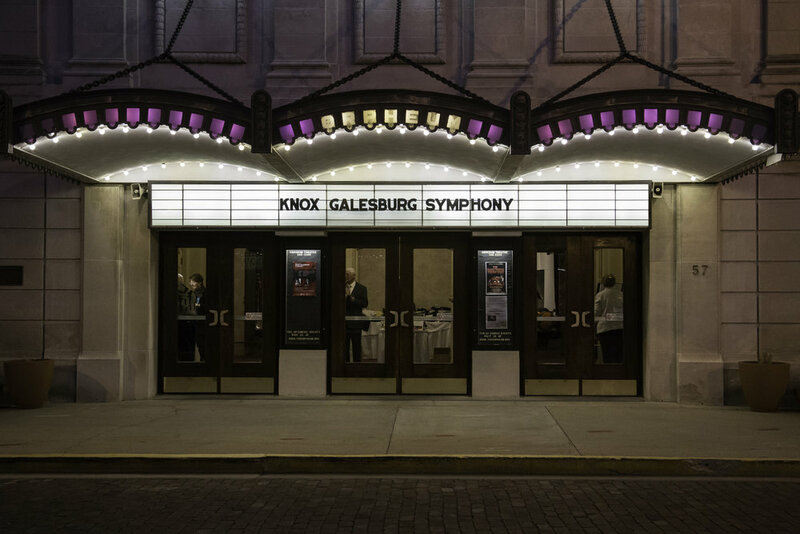 The Orpheum Theatre and Knox-Galesburg Symphony are not responsible for the loss or theft of personal property. To inquire about lost items call 309-341-7268 or 309-342-2299.